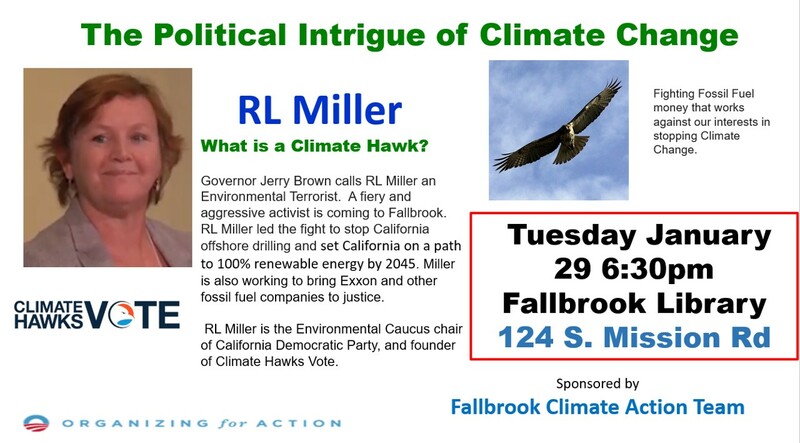 RL Miller, well known environmental activist, will be speaking at the Fallbrook Library. 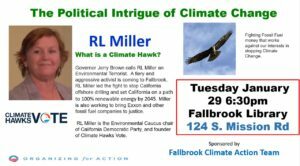 Miller is the Environmental Cau cus chair of California Democratic Party. She is working to bring Exxon and other fossil fuel companies to justice. She founded Climate Hawks Vote to build grassroots political power for the climate movement.